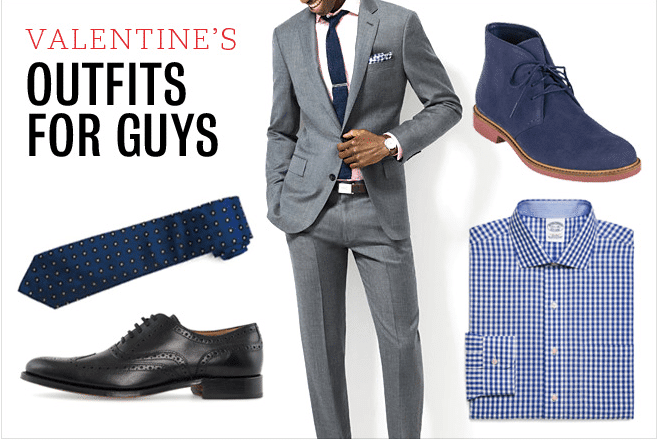 Best Valentine’s Day Outfits For Guys: With Valentine’s Day approaching soon, everyone must be busy making plans for the special day, whether girls or boys. If you have not yet planned on the kind of outfit you want to wear to celebrate the occasion, get started now. How to Dress Up for Valentine’s Day 2019? Don’t go to your usual restaurants since this won’t be anything extraordinary and moreover, most restaurants are always overly crowded on this day. Instead, go somewhere where you can both enjoy some peaceful time together and truly bond, this could be done on a long drive or a picnic. Below are the images of the cute Valentine’s day outfits for teenagers. Take your time and decide on your outfit. Try to look your best and impress your girl with confidence. Purchasing a gift is a must for your girlfriend. Therefore do a survey in the market or search online Valentine’s Day gifts for her to get unlimited ideas. You can decide the gift by knowing her choice or by guessing anything that she would like. Coming towards the dressing, there is no need to go overboard, instead, keep things simple and casual for a fun and romantic day. This, of course, is the ideal dressing for the valentine’s day but there are no rules and if you’re still going somewhere special and fancy then you need to dress up formally. One important thing that men often tend to ignore is their feet. Whether you’re dressing casually or formally, your socks and shoes need to be impressive. Many women tend to make their first impressions about a man through his shoes so make sure that you choose a nice pair of shoes that are truly worthy of being a part of your Valentine’s day. Our top picks for this year’s Valentine’s Day are black crocodile loafers, boat shoes and brown strappy shoes. For more help on choosing the right shoes-outfit combination, check out these Top 10 Men Formal Shoes Styles And Ideas How to Wear them. Don’t forget to wear your best cologne as nothing turns women on like a nice smelling man does! Lastly, do compliment her, give her a nice and thoughtful gift and most importantly, share your feelings with her. Most girls complain about how men are not open about their feelings so make this day special for her by being not just a good listener but also a speaker. ↓ 20 – What to Wear on Valentine’s Dinner Date? Are you planning to impress your lady love? Planning to take her out for a fancy dinner date? Then dressing up properly and formally is a must. The perfect pair of boots, a formal coat, with a shirt and pants. You need to look like a gentleman. A lined suit jacket can help you pick out the color to pair it with. This blue lined suit jacket has been styled with a matching pocket square. However, you could add a matching bowtie as well. The tan-brown accessories like the formal shoes, the watch, and the belt look perfect with the formal look. Oh, and do not forget to carry the Roses for your significant other. Since brown shoes are trending once again, don’t miss out these 20 Outfit Ideas to Wear Black Pants with Brown Shoes for Men. For this, the outfit should be very simple. You could wear a t-shirt or a simple shirt with denim jeans. This would give a very casual look. Choose a matching belt and a comfortable pair of shoes. Additionally, you could also go for a bomber or a leather jacket to go with a basic t-shirt depending on the climate where you live. Here are some more Winter Date Outfit Ideas for Guys That Your Girl Will Love. To look best for a movie date wear something that is very trendy and stylish. Wear a branded t-shirt such as Next, Lacoste, Giordano etc. Do not wear formal clothes for a movie date. Keep it very simple. You must decide Valentine’s Day dress code once done with the planning. You have plenty of color options. Blue, yellow, red, light pink, grey, green are the preferred colors for young teen boys. So chose a color that suits you the most and enjoy your Valentine’s Day with your loved one. Here is a more formal or semi-formal look that you can try for Valentine’s Day this year. Blue is a great color for night time and any man can carry it off like a star. Wearing a blue shirt with a blazer can instantly give you a sharp look. These pearl cufflinks could totally be the showstopper here. Statement cufflinks add the right kind of style element to formal outfits. The white and gold ones would surely complement the blue look. We also highly recommend that you check out these 16 Amazing Men’s Suits Combinations To Get A Sharp look. But if you’re not in the mood of wearing something dark, or if you feel that light colors look better on you then we suggest that you go for an all-white look with a touch of brown and gold. This elegant and yet simple outfit is definitely going to make you stand out. If you are planning an intimate affair for your partner and wish to keep it semi-formal go for a comfortable attire that makes you look dressed appropriately to the occasion while also looking stylish. A suit jacket is a must, however, underneath it, you could wear a round-neck shirt or a V-neck t-shirt, styled perfectly with sneakers, formal shoes or loafers. There is a stark difference between dressing up during the daytime and nighttime. Light colours like white, light blue and grey look best when worn during sunlight. Here is a great contrasting combination of white with a grey-blue jacket. Wear it over a well-fitted pant, with tan accessories to impress your partner. Men’s formal wear consisting of a suit and the perfect kind of shoes look best for dinner dates especially when the occasion is like that of Valentine’s. Make your date extra special for your significant other by dressing up formally, looking super dapper and handsome. However, one thing to keep in mind when wearing a formal shirt or suit is to go for a tailored fit. A sagging suit with an ill-fitting is a turn-off and would not impress your date. Whether it is a special lunch planned or a picnic by the lake, make your Valentine’s extra special by dressing up elegantly for the occasion. With February being a tad bit cold, going with the suit jacket is a must unless you are planning to go for a sweater or jacket. While you are at it, take a look at these color suggestions for a daytime look. Pastels and lighter shades are anyway the colors of the season but go the extra mile by picking out shades of pink for Valentine’s for an uber cool look. This coral pink jacket has been worn over a white round neck shirt and a light pink pant. The semi-casual look has just the right colors for you to shine under the sunlight. The bowtie will help make it look like you have made the effort to look nice, sure to impress your significant other. Taking Netflix and chill too seriously this Valentine’s? Well, we do not blame you. It tends to get difficult to find a reservation at the town’s famous eatery, the traffic ends up being a buzzkill and it ruins the point of it all. Putting on your favorite movie, ordering in and getting cozy at home does not sound too bad. We would love to skip a fancy date for a fun day at home instead. However, a date night at home does not necessarily mean you get to dress up in your PJs. Make the extra effort to please your partner by going for a casual yet attractive look. This plaid shirt over a blue pant looks like a great pick for a comfortable day in. You can pair the look with tan accessories and a blue strap watch like the one shown below. Cook up a special meal for the two of you impress her not just with your dress but also your skills. Got a reservation for a fancy Italian restaurant in town? Dressing up for the occasion would kind of be necessary here. However, do not go overboard with the dressing up. Going tie-less with a suit can look stylish and appropriate. If you feel like you are too underdressed, a pocket square could do some of the fixings. Got a meeting to attend right before your big date and still want to make it in time? How about end up in work wear, not only making a great formal fashion appearance but also impressing your partner. Before heading to work, spend extra time looking your best to ensure a great time at your dinner date. A great recommendation would be to choose a printed three-piece, like a plaid pattern suit. Wearing a vest underneath would only help make you look dapper. Make sure to add in a red tie or pocket square before the date to keep up with Valentine’s theme. Headed to a coffee or a movie date with your better half? Dressing up too formally would just make you look too serious and maybe boring. To add a bit of fun and style, going for a t-shirt and blazer seems like a better option here. Here is how to put together a striped Tee with a grey blazer for an effortless look. If you are a teen, you would know the importance of dress to impress. Make sure to keep a check of your hair and accessories to keep the sparks flying. A simple watch and a tie pin are the kind of accessories to add to a formal outfit for Valentine’s. Want to ditch the suit jacket and go for something simple? How about a formal shirt and pant with a tie? Girls absolutely love the folded sleeve look and we would definitely recommend raising the heat in such a look. The blue shirt has been paired with a light blue tie which will help make you look dressed for the occasion. The tan shoes and belt are the kind of accessories you can pair with both formal and casual outfits. And here is a nicely layered casual look. Play with bold prints for a stylish look and add a red beanie since Valentine’s is all about red. clarity iin ʏour post is just nicce andd i coսld assume ʏou’re an expert onn tҺis subject. hello, sir, Your article is awesome and great. 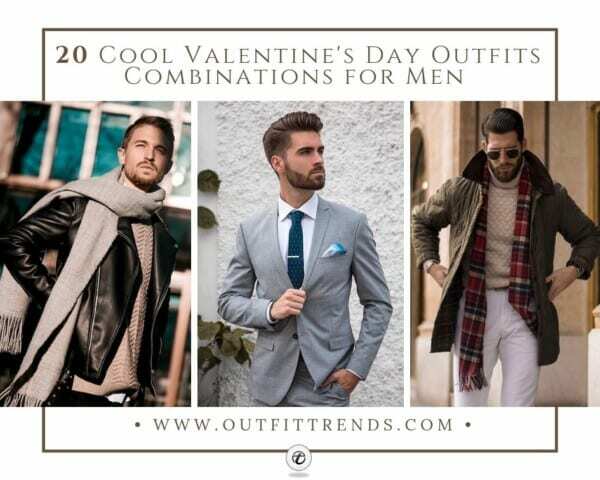 You are sharing very good dressing combination for a boy and gentlemen, for Valentine day the occasion is very important for every boy and girl. I will also try your tips on this valentine day. thanx, sir.